My Tank bag electrification project, I have used cig lighter type adapter sockets for some years in my tank bag. I never liked the connections vibrating loose on the road. This time I am hard-wiring the various accesories into a buss-bar in the bottom of the bag, A solid system for trouble free audio on the road. 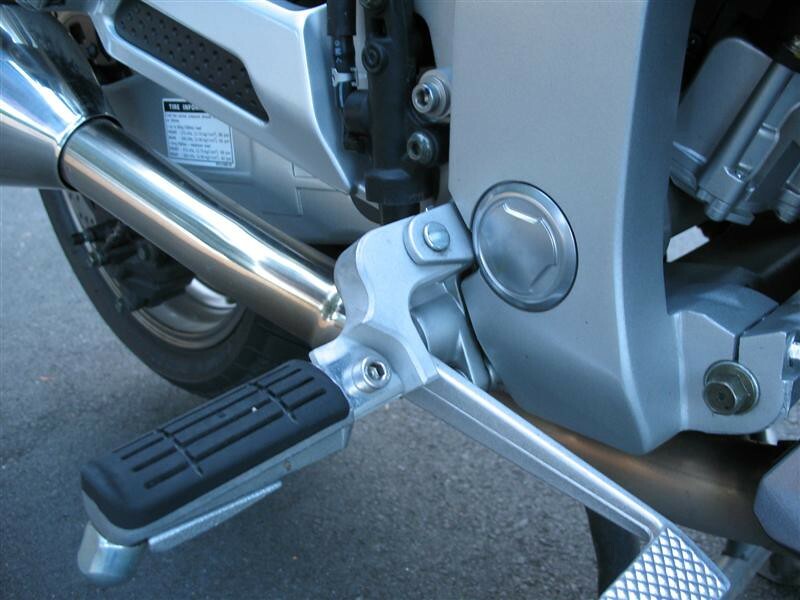 I added a Motorcycle Larry footpeg lowering kit, however the pegs scrape too much now and I may only use them on long road trips.